THE SKINNY: Made with avocado, argan oil and rosehip, Don’t Despair, Repair! really is a deep conditioning hair mask that's easy to use and left my fine hair silky soft. This stuff, from a recent Ipsy bag, smells heavenly, like something they'd use on my hair at the salon. Work it in. Leave it in for three to five minutes. Rinse it out. I used it after on my color-treated hair after I spent a week at the beach being exposed to salt, wind and sun. The result? My hair felt much softer and had a lot of shine. The trade off? I could use it once every few weeks on a weekend to help keep hair healthy. KEEP OR TOSS: I'm on the fence. 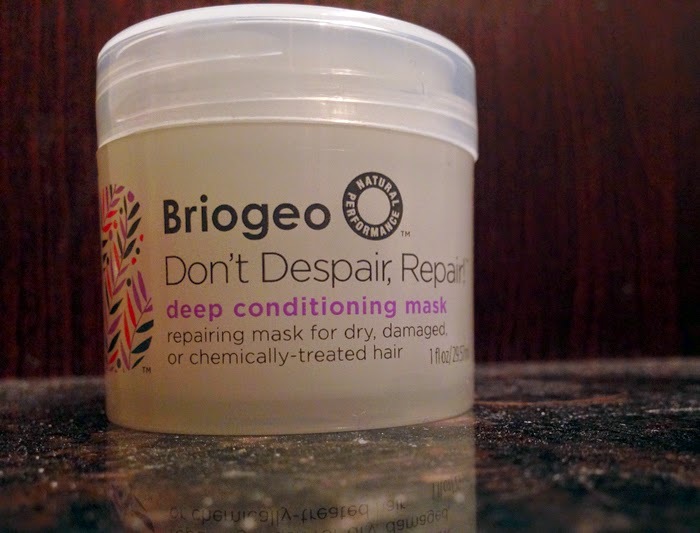 CHECK IT OUT: This mask gets great reviews on the Briogeo website.